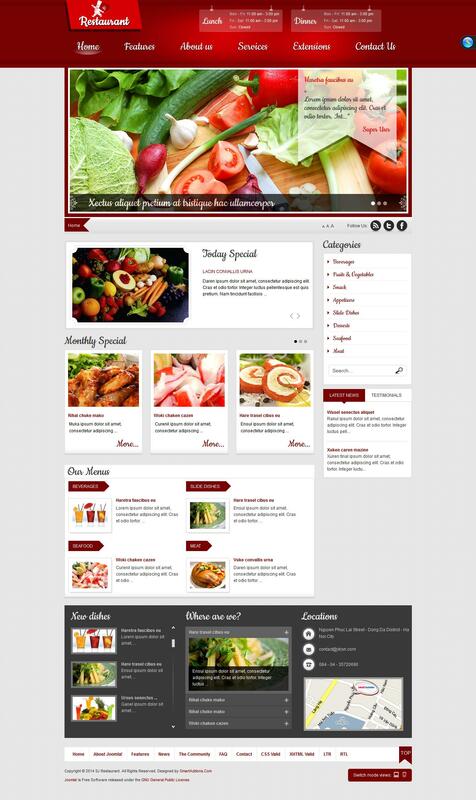 SJ Restaurant - chic restaurant template themes from design studio SmartAddons. Thanks to the built-in toolbar, you can adjust the width and column layout, color management styles and fonts. Perfect for creating websites dedicated to the restaurant business.